All SUN VIEW ESTATES 1 LOT 1- homes currently listed for sale in Gilbert as of 04/22/2019 are shown below. You can change the search criteria at any time by pressing the 'Change Search' button below. 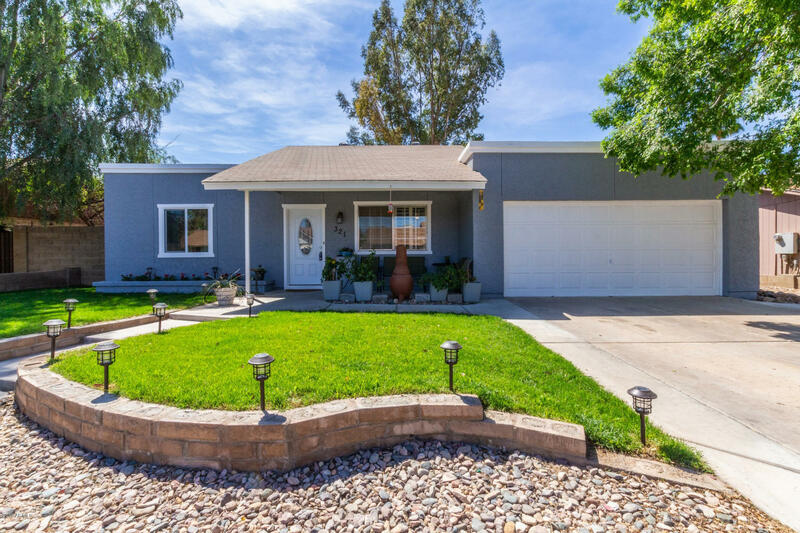 "Tastefully remodeled home near Downtown Gilbert. Renovations/upgrades include a new addition of 280 sq ft which creates a large open concept kitchen & living space including a large kitchen Island, new cabinets, quartz counter tops, breakfast room, & french doors out to back yard. Also features remodeled bathrooms, & fresh paint! New stylish laminate flooring throughout. 2018 Energy upgrades include New Sealed duct work, New double pane windows, and additional insulation in attic! New A/C in 201"